New funding announced for PEARL! 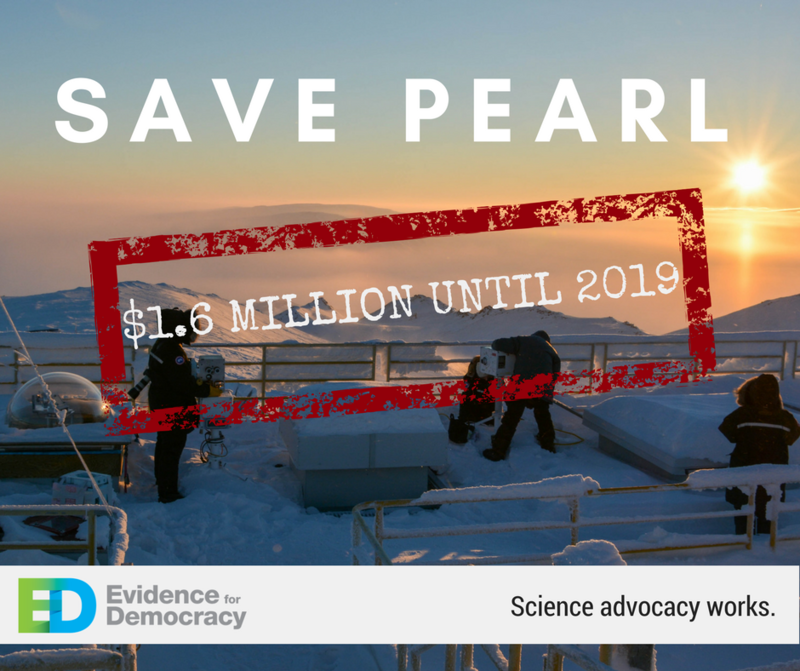 This funding will ensure that the PEARL lab stays open - and this wouldn’t have happened without you! Once again, our community has shown that science advocacy works. But climate science in Canada isn’t in the clear. PEARL is only one of seven climate and atmospheric research programs that have had their funding cut. Without new funding these other programs researching crucially important issues like how to improve climate predictions, the role of aerosols in climate change and how to better predict sea ice and snow cover are at risk. Canada can and should be a world-leader in climate and atmospheric science. We’re looking forward to continuing to work with you and the government to make sure a robust and long-term solution is in place. Even though there is more work to do, this is a big win. Thank you for making it happen! Evidence for Democracy is the leading fact-driven, non-partisan, not-for-profit organization promoting the transparent use of evidence in government decision-making in Canada. This message was sent to sos.oceanscience@gmail.com because you previously donated or signed on to one of our campaigns or newsletter. If you no longer want to be part of our community, you can unsubscribe at any time.